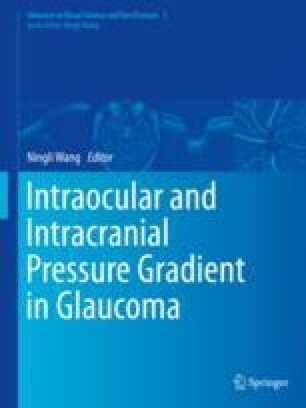 Lowering intraocular pressure (IOP) is known to slow the rate of glaucoma injury. Aqueous humor is produced by the ciliary epithelium and drains out of the eye via the well-established trabecular meshwork route and uveoscleral outflow pathways. It is helpful to remember that most of our body tissues are bathed in lymph, which drains fluid, waste, and pathogens from the interstitium, pumping as much as 3 L of fluid per day. In the absence of a pump such as the heart, capillary walls act as one-way valves in which endothelial cells overlap allowing fluid to enter, while preventing fluid from exiting. Once fluid enters the lymphatics, the valves allow flow toward the node, preventing backflow. Small capillaries merge to form larger vessels, passing through lymph nodes, and eventually lymphatic trunks merge until the lymph enters the right lymphatic duct and thoracic ducts at the base of the neck where they are returned to the venous circulation. This work was supported by the Canadian Institutes of Health Research, Canada Foundation of Innovation, Glaucoma Research Society of Canada, Dorothy Pitts Chair and Henry Farrugia Research Fund.